There is no room in it for swindlers, double crossers, tricksters, or traitors. Islam views cheating and deception as heinous sins, a source of shame to the one guilty of committing them, both in this world and the next. 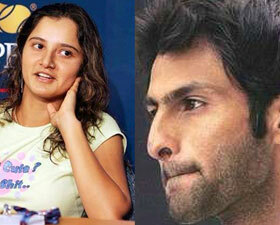 THAT SANIA Mirza is hell bent to marry Shoaib Malik is not my problem. My feelings or feelings of my countrymen for Sania does not matter at this juncture. She is out of the picture as a girl, who would reap very soon what she is sowing now. ,As the adage goes – There are other ways to kill a cat than choking it with butter. If the Hyderabadis thought it fit to kill the last flicker of hope of friendship between India and Pakistan with this marriage they can stick to their opinion. My problem is Shoaib Malik. Till yesterday, he was calling Ayesha as a girl he had never seen. He was saying that he was duped into believing that Ayesha was some third woman whose photographs he was shown. Since nikah with intention to cheat is not valid, Sania will be his first wife. Now when the cat is out of the bag he is admitting his marriage to Ayesha aka Maha. FIR filed by Siddiquis will be dropped now. 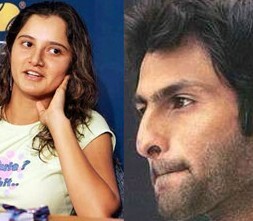 Shoaib and Sania will now marry and would live happily hereafter. Since both are Muslims and both should know that flirting with other women for a married man is tantamount to serious offence. Shoaib flirted with Sania when Ayesha was his wife. He was successful in trapping an innocent girl in marriage is another offence. Let Sania Mirza, if not Shoaib Malik should know that Muslim society is based on purity of feeling, love, sincerity and fulfillment of promises to every member of society. Its members are endowed with piety, truthfulness and faithfulness. Cheating and deception are alien characters in contrast to the noble character of a true Muslim. There is no room in it for swindlers, double crossers, tricksters, or traitors. Islam views cheating and deception as heinous sins, a source of shame to the one guilty of committing them, both in this world and the next. The Prophet, may the mercy and blessings of God be upon him, did not merely denounce such people by excluding them from the Muslim community in this world, he also announced that on the Day of Judgment every traitor would be raised carrying the flag of his betrayal. A caller will cry out from the vast arena of judgment, pointing to him, drawing attention to him: “Every traitor will have a banner on the Day of Resurrection and it will be said: This is the betrayer of so-and-so.” (Saheeh Al-Bukhari). The shame of traitors – men and women – will be immense. Those who thought that their betrayal had been forgotten will find it right there, exposed for the whole world to see on banners raised high held by their own hands. Their shame will increase even more when they meet with the prophet of mercy, the advocate of the sinners on that terrifying and horrible day. Their crime is of such enormity that it will deprive them of divine mercy and the prophet’s intercession. The Prophet of Islam said: “God said: I will oppose on the Day of Resurrection: a man who gave his word and then betrayed it.” (Saheeh Al-Bukhari). “There are four characteristics, whoever has all of them is a true hypocrite and whoever has one of them has one of the qualities of a hypocrite until he gives it up: when he is trusted, he betrays; when he speaks, he lies; when he makes a promise, he breaks it; and when he disputes, he resorts to slander.” (Saheeh Al-Bukhari, Saheeh Muslim).